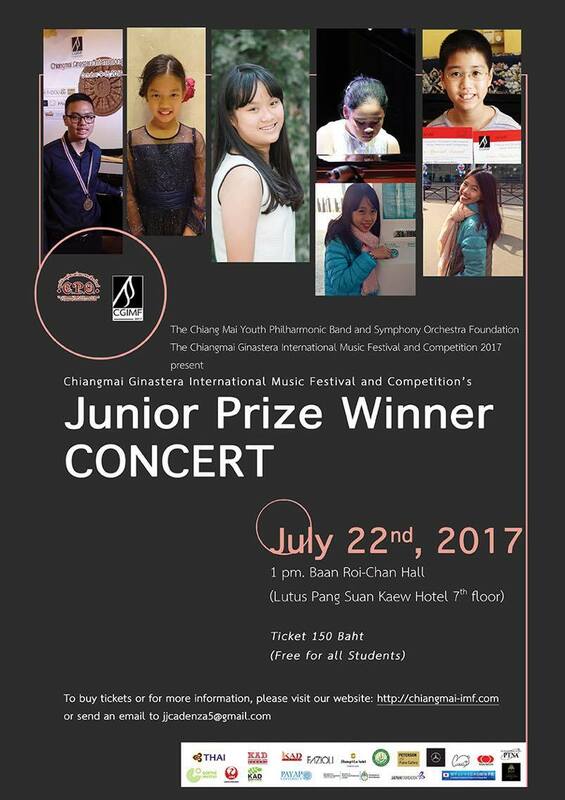 A special concert by the Junior Category prize winners of the first Chiang Mai Ginastera Music Festival Competition! 150THB, FREE ADMISSION for students and family members of performers. Tickets will be available at the door of the Baan Roichan Hall on July 22. 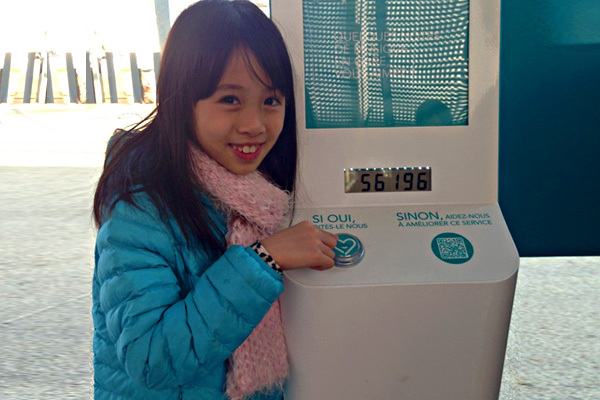 Sirima Pholtape (InIn), age 9, was born in Thailand. She has been studying piano since the age of five with Miss Irina Novikova. One year later, she started to present her talent in classical music at famous concert halls internationally. Sirima has been a prizewinner of many competitions. They are as follows: the American Protege Showcase at Stern Auditorium 2017 (USA), Golden Key International Music Festival 2017, the International Music Competition ‘LONDON’ Grand Prize Virtuoso 2016 (UK), Chiang Mai Ginastera International Music Festival and Competition 2016 (Thailand), the 17th OSAKA International Music Competition 2016 (Japan), the International Young Gifted Musicians Festival ” Passion of Music 2016 (USA), the International Music Competition Grand Prize Virtuoso 2015 (France), the Hong Kong Music Competition for Young Pianists 2015 (Hong Kong), the Medan International Piano Competition 2015 (Indonesia) and the International Music Competition Grand Prize Virtuoso, Vienna 2015(Austria). 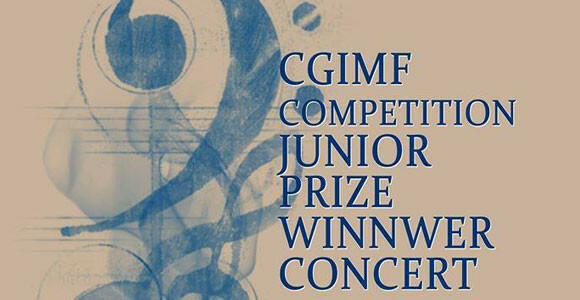 As the winner of these competitions, Sirima had been invited to perform at the ISAAC Stern Auditorium/ Perelman Stage at Carnegie Hall (USA), the Elgar room at London’s Royal Albert Hall (UK) and Paris National Opera Bastill (France). Additionally, in the past year, she had been chosen to perform piano before the Princess of Thailand HRH Princess Soamsawali. 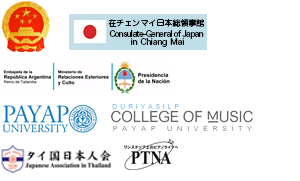 Apart from the competitions, Pam has received great opportunity to perform in many winner concerts both in Thailand and international such as in Carnegie Hall (New York), Illsley Ball Nordstrom Recital Hall in Benaroya Hall (Seattle), MediaCorp TV Theatre (Singapore), Multimedia Art Museum (Moscow), and Central Music School (College) of Moscow State P.I. Tchaikovsky Conservatory’s halls. She was selected to perform in prestigious concert before the Princess of Thailand HRH Princess Soamsawali. 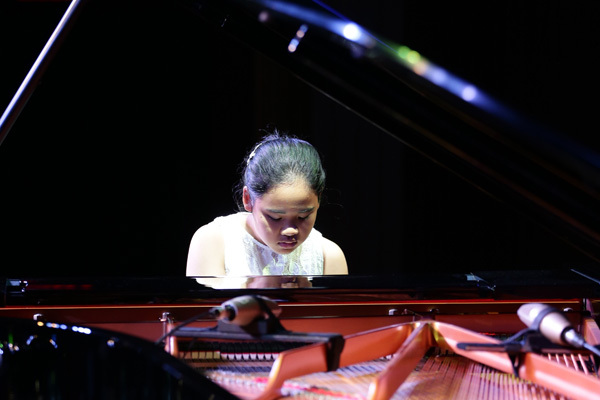 She also received opportunity to perform in front of Mr. Vladimir Ashkenazy and his family, and other concerts such as Thailand Young Bechstein Artists Concert, Culture without boundary concert in Moscow (invited by the Ministry of Culture, Russia). Currently, Pam is now in the process of making her first debut CD digital album under KNS Classical Record and will be available through digital distribution of KNS partners, online retailers: Amazon, Itunes, Rhapsody, Spotify and more. 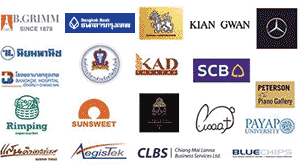 MS. Varint Wongratanaphisan was born on December 5, 2007 in Chiangmai, Thailand. She started playing music as a student in the Yamaha Junior Course, at Yamaha Nakornping Chiangmai Music School when she was four years old. She started taking piano lessons at the age of 6. She is now studying at Varee Chiangmai International School. She began her piano lesson with Ajarn Atsuko Seta in late 2014. Pingka was born in Chiang Mai in 2000.He studied at Prince Royal’s College since 5 years old and now he has studied in the music class at Prince Royal’s College and he was a concertmaster of PRC Orchestra. He began piano lesson when he was 4 years old in Yamaha Music School and began violin lesson when he was 10 years old. He has studied piano with Mss. Sukruetai Chaipralard, Mr.Eakachai tadlek and Atsuko Seta. 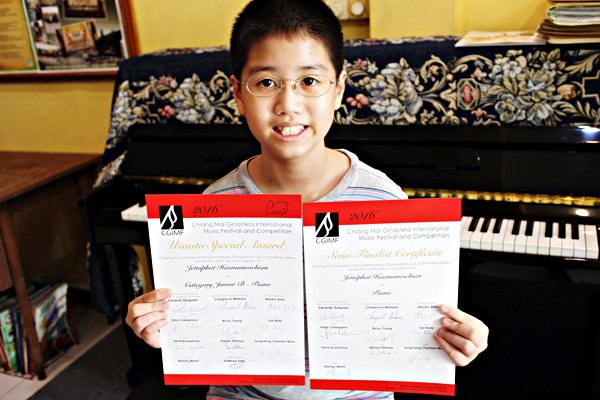 In 2006 He won the second prize in Yamaha music festival Chiang Mai piano duet category. 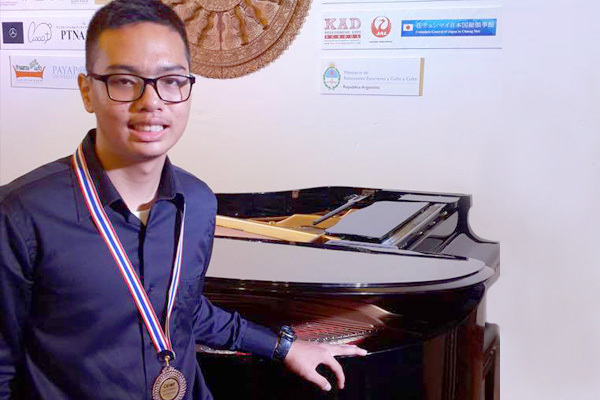 And next year he won the second prize in Yamaha Music festival Chiang Mai piano solo category and he was getting married of piano grade 8 in practical examination of Trinity College Piano Examination and he won the third prize in Chiang Mai Ginastera International Music Festival 2016. At the school he had play violin in a lot of concert with PRC orchestra the last concert of this year is “Fantasy East and West”. 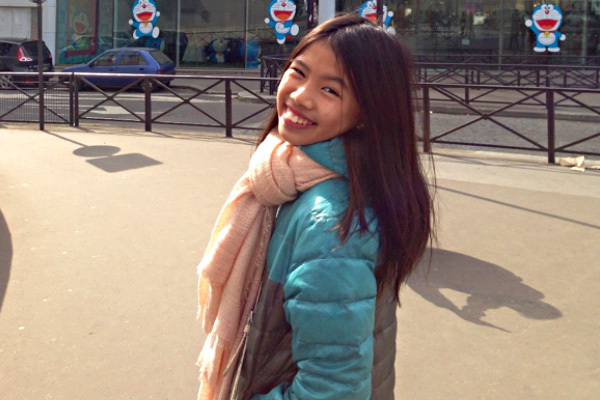 MS. Ravint Wongratanaphisan was born in August, 2005 in Bangkok and grew up in Chiangmai, Thailand. 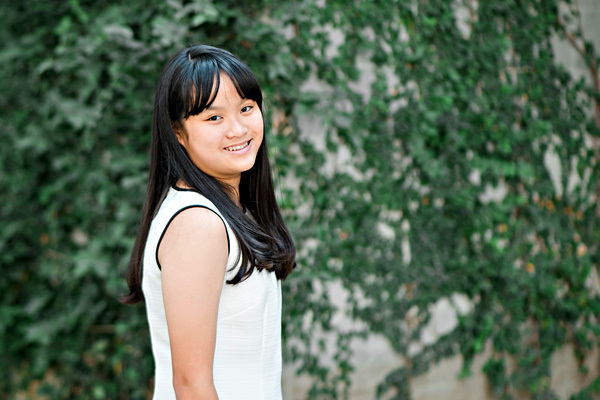 She attended Yamaha Junior Course, at Yamaha Nakornping Chiangmai Music School when she was four years old. She started taking piano lessons separately at the age of 6. She began her piano lessons with Ajarn Atsuko Seta in late 2014. She is now studying at Varee Chiangmai International School. Jetniphat Haemanwichian (Punpol) loves to play the piano. He has his own youtube channel named Punpol Love Piano. If he is free from his school homework he would practice the piano. He has been studying piano with Santi Saengthong, LTCL at Santi Music School in Chiang Mai for 4 years. In February 2016 he received the Beethoven Trophy from the Friendship Piano Competition No.3 held by Santi Music School. In December 2016 he passed his ABRSM grade 5 exam with the highest score in Thailand. In January 2017 he performed in the Grand International Charity Concert held by Santi Music School to raise money for Baanpangterm school in Samoeng Chaing Mai. Ms.Porjai Rangsri was born in April, 2005. She started her piano lessons when she was 5 years old at Yamaka Nakornping Chiangmai Music School. Her first teacher is Miss Jareerat Pongudom. She then attended a Yamaha competition in 2013. 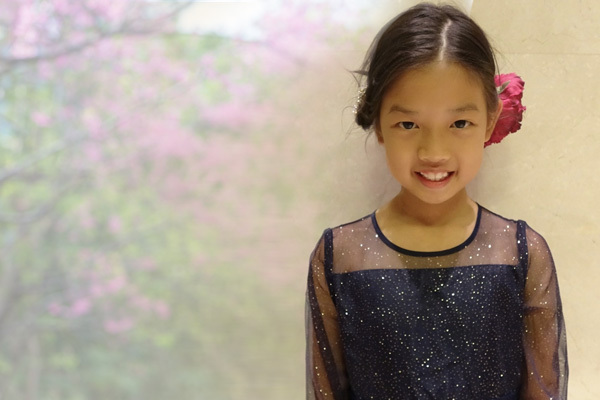 Porjai began studying piano with Ajarn Atsuko Seta in 2015 making a great progress to competitions. Currently, she is studying in the secondary section of Varee Chiangmai International School. Golden prize(Piano solo) of regional round of Yamaha Thailand Music Festival. Honorable award(Piano solo) of final round of Yamaha Thailand Music Festival.